Tidy Tuesday is a weekly post series on the subject of home. I’ll talk about any remodeling / decorating of my house to tips to help you get your house organized to decorating tips to featuring home bloggers. *If you would like to guest post on my blog on the topic of home or any other topic, send me a message. Since yesterday was National Coffee Day, I thought today would be perfect to write a post about coffee. I’m a big fan of coffee if you didn’t know that. I love coffee so much that the decor in my kitchen is coffee themed. I love finding new coffee decor for my kitchen. I discovered Shoppe by Scout Mob. The Shoppe sells inspired goods by independent makers. There are many makers that contribute to the Shoppe. Each maker has a different trade. You can find out more about the Shoppe here. Have you heard of Shoppe? I was browsing Shoppe and I discovered they had a food and drink section, so I searched for coffee. You can get anything from coffee to coffee decor. There were several items that caught my eye. This first print is my favorite. I love the colors of the blue in the print. The stripes look great on the print. I could see this print hanging in my kitchen. 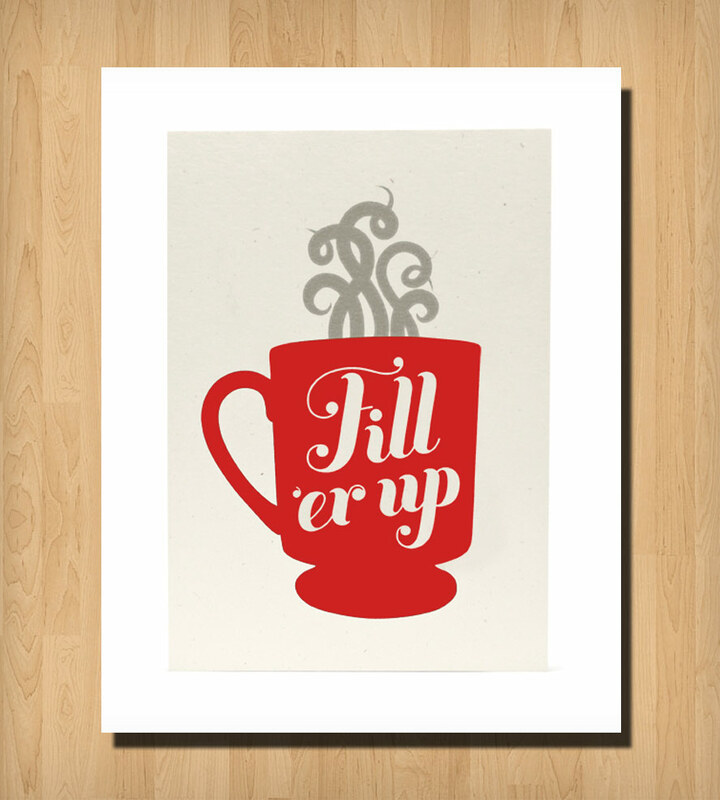 This print is what I need to do sometimes – fill ‘er up. There are days I need that second cup of coffee. I love that the cup is red since I have a red and blue color theme in my kitchen. 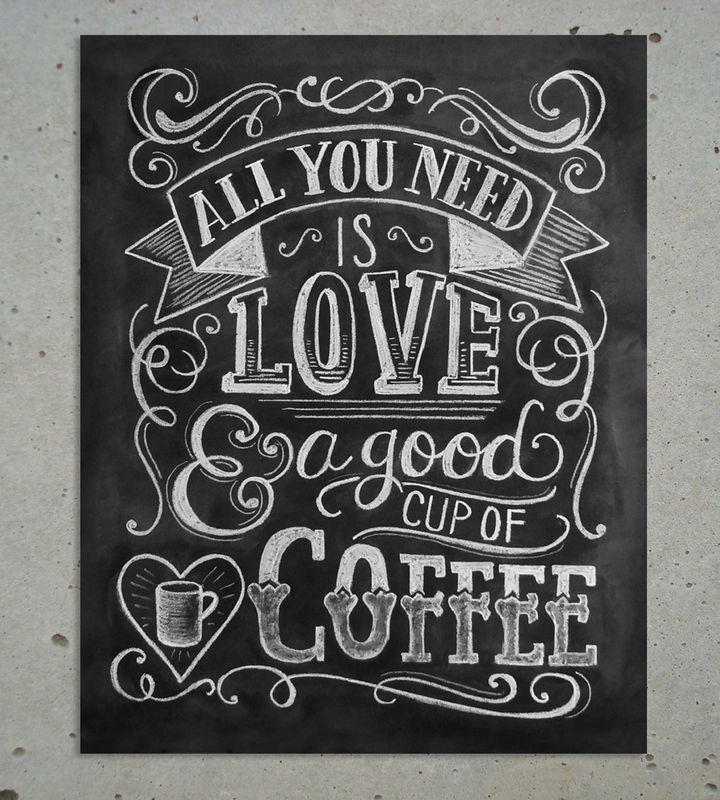 And of course, all you need is love…and a good cup of coffee. Love and coffee works great together. 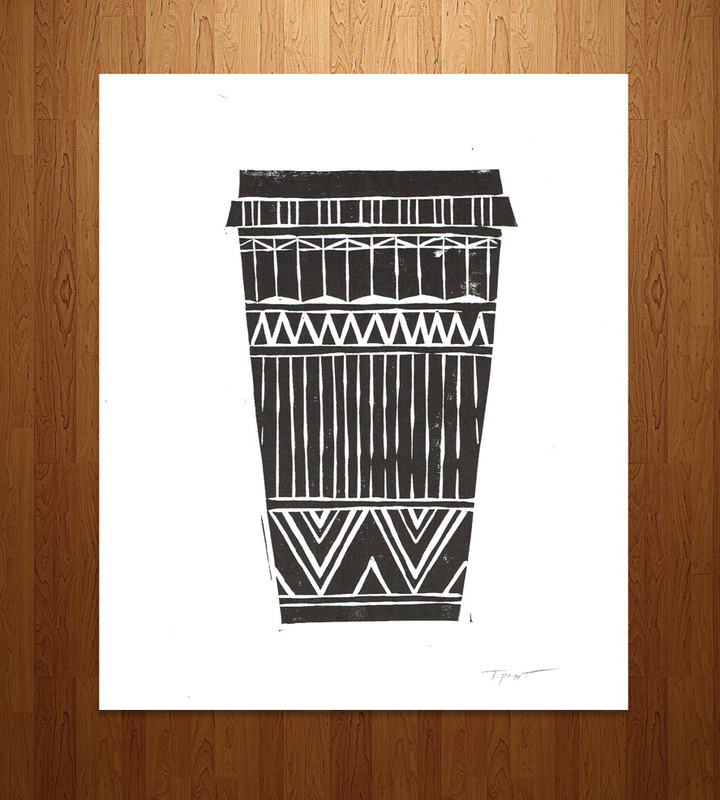 This print looks great as a chalkboard art and would look great in any kitchen. This print made me think of Shugar Love and the All You Need Is Love Project that we were part of together. These last two prints are made by the same maker. The prints would look great hung together. I love the simple color of the coffee cups and I also love the design on the cups. 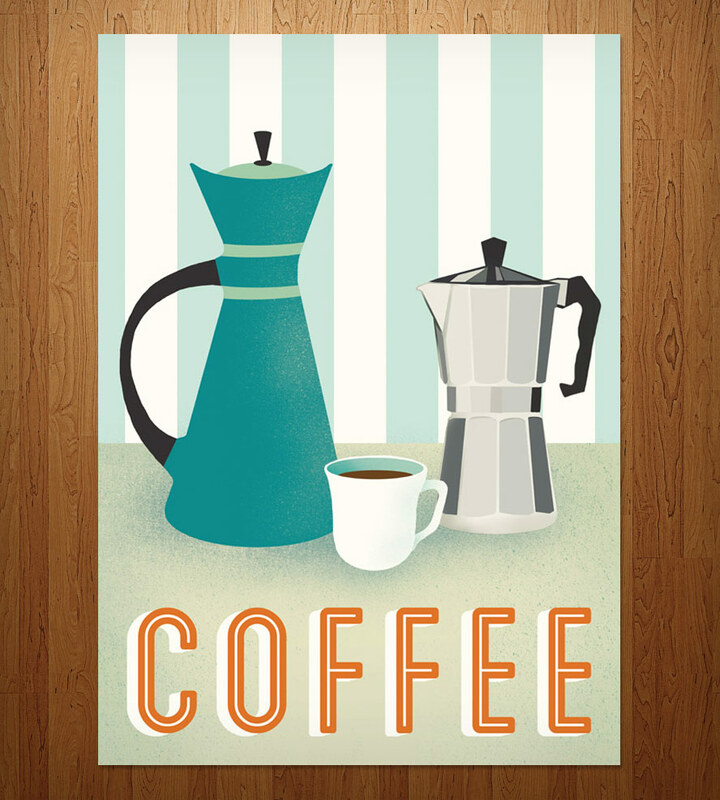 What do you think of these coffee prints for your decor in your kitchen? Which one(s) would you pick? Next Post Is Your Toddler Afraid of the Dark? 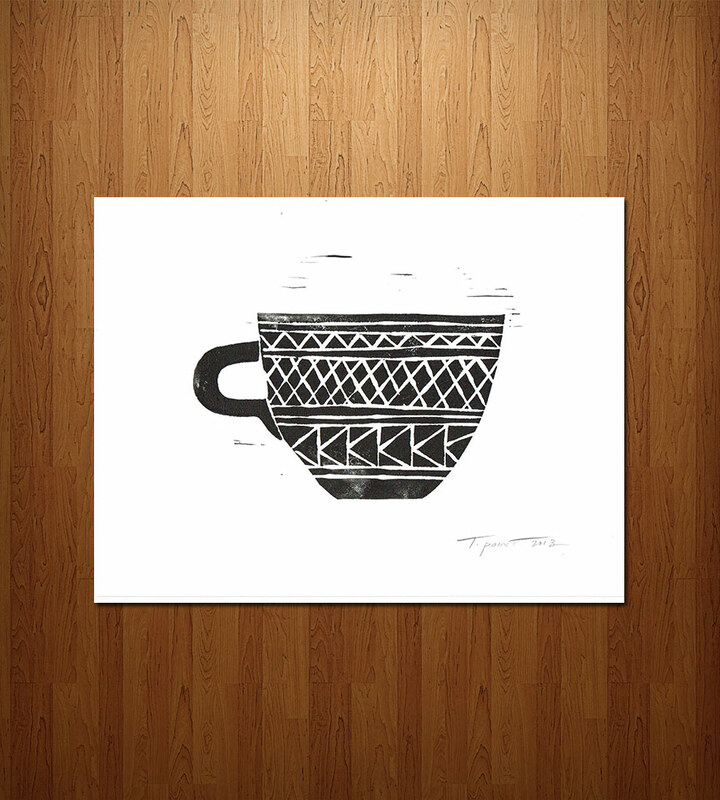 I LOVE coffee and retro prints! The first one is by far my favorite 🙂 But the last two are also speaking to me because, even though they are coffee cups, the pattern has an African feel to them. My husband is originally from South Africa so we have a lot of African and African inspired art in our home. These are so cute! I am obsessed with Coffee! Thanks for linking up at mommy needs a time out Thursdays! I can pretty much say the same thing about coffee. I especially the love the smell of coffee. Pingback: Turn It Up Tuesday - #55 - Baby Doodah!